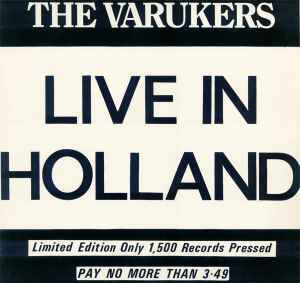 Recorded live on 29th June 1984 at Hengelo, Holland. "No overdubs, all backing vocals are by the crowd". "Limited edition only 1,500 records pressed". "Pay no more than 3.49". Manufactured & distributed by Red Rhino/Cartel.